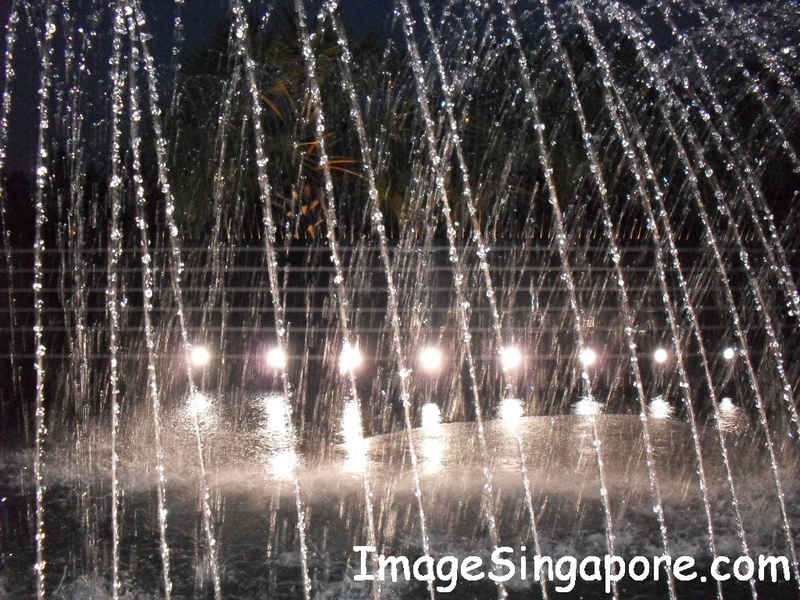 I was at Marina Barrage during the early evening. But when I reached there, I saw heavy dark clouds hovering above the sky. Soon there was lightning streaking across the dark sky; followed by a loud thunder. 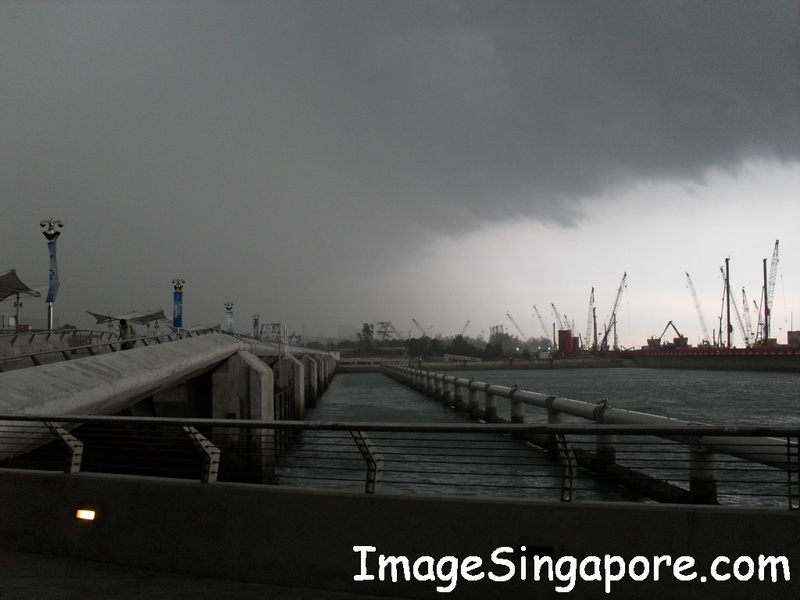 I was walking towards the bridge and wanted to take some photos of coming thunderstorm at Marina Barrage; then I could hear a loud blasting sirens and then guard stopped me from walking to the bridge. I asked the guard “why?”. He told me that the sirens was meant to inform people of the danger of lightning and to quickly clear away from the bridge. Seconds later, the rain fell, the strong winds and lightning followed, this has given me an opportunity to see another side of the Marina Barrage – being attacked by the thunderstorm. After an hour later, the thunderstorm subsided. The guards told us that we were still not allowed to walk outside until the clearance has been given to do so. Later I heard an announcement that the flood gates will be opening soon. I thought how lucky I was been able to witness the opening of the flood gates to clear away the excess water from the reservoir into the sea. One flood gate was opened and minutes later followed by the opening of the second flood gate. Lots of water from the dam was been flushed out into the sea. It is very interesting to see how fast the water from the dam can be removed into the sea with the opening of flood gates.